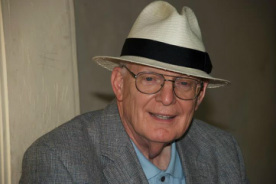 Dr. Robert H. Jackson is the founder and the former executive director of the Romanian-American Mission. Brother Bob, as he preferred to be called, loved and touched thousands of persons in Romania and U.S.A. He followed the Lord with an unusual faithfulness and passion and made Christ known around the world through his love and compassion for people. He liked to refer to himself as being just a Carpenter's helper. Brother Bob went to be with the Lord on January 13, 2012, while serving RAM at our annual meeting in Brandon, MS. Brother Bob's love for people and profound vision to reach the world for Christ will never be forgotten. Brother Bob served as senior pastor of churches in Alabama, Mississippi, Kentucky and Indiana for 52 years. Full-time pastorate were the Clio Baptist Church in Alabama, Buck Run Baptist Church in Frankfort, KY and Brandon Baptist Church in Brandon, MS.